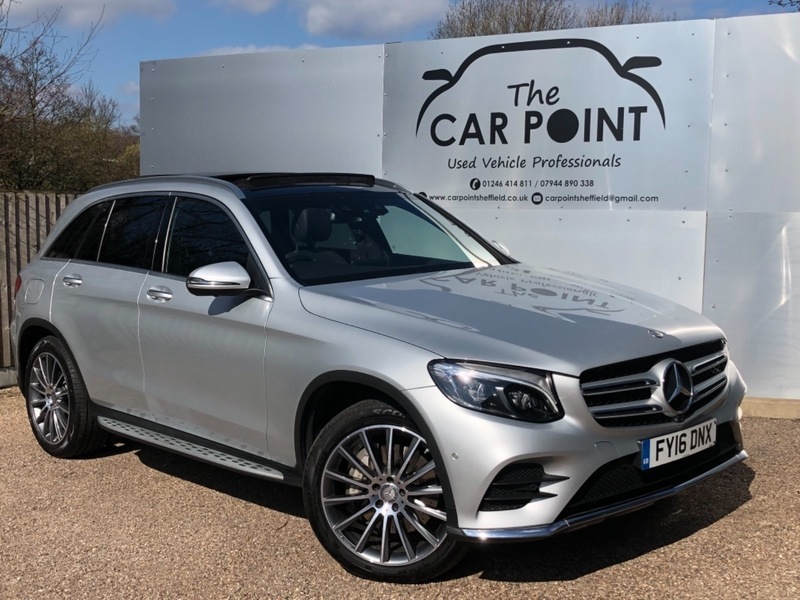 Here we have For Sale, In Superb Condition, is This Mercedes GLC AMG Line Premium Plus, This Car Has Had Just One Owner From New and Comes Complete With Full Mercedes Service History. This GLC also Has an Excellent Specification Including, Panoramic Glass Sunroof, 20 Inch Alloy Wheels, Side Steps, Comand Satellite Navigation and Media Screen, Full Leather Interior, Heated Seats, Electric Memory Seats, Upgrade Premium Sound, Keyless Entry& Go, Automatic Lights and Wipers, Cruise Control Plus Much Much More! We are Authorised And Regulated By the FCA which Permits us to Arrange Excellent Finance Packages, Which are Taylor Made to Suit All Budgets, Just Call Us For More Information.